At what age did you realise you wanted to become an actor? I was very young, about 6 or 7 when I realised how much fun it was to get up in front of the class and suddenly become the centre of attention. There’s a lot of power in being able to make people laugh, especially at that age. What performing arts related activities did you participate in whilst you were at school to build your career and who inspired you through your school years to explore your passion for performing arts? I attended school at Wesley College in Melbourne, which has an incredible Performing Arts program. I went out for all the school plays, but at first, I would only get cast in small roles. But I would always be the first to show up at rehearsals, and always the last to leave. As I later learned, that’s what is known in the industry as being “present” – always showing up on time, and always being ready to work. That attitude eventually caught the attention of my teachers. By the time I was in Year 12, I was lucky enough to get cast in the lead roles of whatever productions the school was putting on. The other great program that Wesley offered at that time was training in improvisational comedy – or “Theatresports” – which required 2 hours of training every week-day, and 4 hours of training every Saturday. More than anything, “Theatresports” was the most invaluable training that I’ve ever had – the ability to “be in the moment” and “think quickly on your feet” during any given scene. As for who “inspired” me during my school years, it wasn’t any particular teacher, although there were 1 or 2 teachers who were a constant source of support. My real inspiration came from watching the work of many, many great character actors, namely: Al Pacino, Marlon Brando, Robert DeNiro, Gene Hackman, Dustin Hoffman, John Cazale, Robert Duvall, Bill Murray, William Holden, Alec Guinness, Jack Nicholson, John Belushi, to name just a few – whose movies I would watch over and over and over again – and I still do, to this day. I was still working (I made about half-a-dozen movies over the next 6 years), but it wasn’t until I got cast in the TV series “The Hollowmen” in 2008 that audiences, and the industry, really started paying attention to me. If you want to be an actor, be prepared to be broke for a very, very, very long time. It is incredibly hard to earn a living out of it, especially for the first 10 years of your career. If you’re not prepared to suffer and make sacrifices during that period, then do not pursue a career as a professional actor. The upside is this: Acting is the best job in the world – it’s the most fun, the most exciting, and the most stimulating – and if you stick at it and work hard, there is a “pot of gold” at the end of the rainbow. You will, hopefully, earn a good living out of it. What advice can you offer young people who have limited access to resources but who are passionate about pursuing a career in performing arts (e.g., financially disadvantaged, live in a rural area, limited social support)? This is show business we’re talking about. Everybody who starts out is financially disadvantaged and has limited access to resources. Everybody. As for social support, that’s a different matter. It does help if you have a parent or parents who support you and believe in you. I was incredibly fortunate to have a Mum and Dad who provided support and encouragement when I most needed it, and I can’t imagine having the career that I now have without them. To have someone – anyone – who is there for you when the chips are down is the most important thing you can have in life. The only reason the late, great Muhammad Ali rose to become “The Greatest” is because he had that perfect combination: Not only did Ali possess incredible talent as a fighter, but he also had those men in his “corner.” You can’t do it alone. Just keep working. Whether it be in front of the camera or behind the camera, my goal is to just keep working. Learn your lines, show up on time, and don’t bump into the furniture. 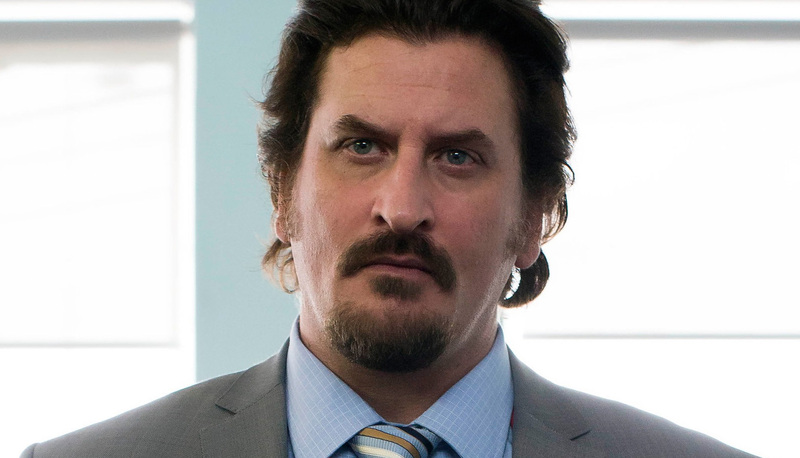 Lachy has appeared in many TV shows and movies, such as Offspring, Gallipoli, The Secret River, The Little Death and Hollowmen.